RVnGO is America's best marketplace to find RVs to rent in Virginia. Find your RVnGO! Since its discovery in 1873, the Luray Caverns, situated in Shenandoah Valley only east of the Appalachian Mountains, have been drawing guests by the thousands every year. The largest caverns in the Eastern U.S., the 1.2 miles of underground tours of cathedral-sized rooms 10 stories high, towering stone formations and natural wonders will leave you in awe as you walk along the paved well-lighted path. The star attraction in the three acres of caverns is The Great Stalacpipe Organ, the worldâ€™s largest musical instrument, it literally makes stalactites sing by gently tapping on them. Included in your ticket are The Car & Carriage Caravan Museum and Toy Town Junction. There is RV Parks adjacent where you can camp in your private RV rental in Virginia. Drive your RV rental in Virginia to Hampton Roads and visit the Busch Gardens in Williamsburg. A 383-acre amusement stop brimming with rides and attractions, Busch Gardens is for everybody in the family. It highlights five world-class crazy rides including the new Griffon liner, high energy live shows, and 3D fascination rides. Younger children will enjoy the likes of Land of the Dragons, Sesame Street Forest of Fun, Bert and Ernie's Loch Adventure, Oscar's Whirly Worms, and Grover's Alpine Express. There is also many refreshments options to keep up your stamina as you enjoy the rides, coaster, exciting shows, and seasonal events! Make sure to check Busch Gardens plan. The Nation's most hallowed ground, the Arlington National Cemetery, is the last resting spot to more than 14,000 who have served with dignity and honor. This includes members of the military, past Presidents and their families, US Court Justices, and other notable figures. Interpretive tour services are available with stops at the U.S. Marine Corps War Memorial, President John F. Kennedy gravesite, The Tomb of the Unknown Soldier and Arlington House (The Robert E. Lee Memorial). Be sure to pay your respects to those who gave all. For the royal treatment, drive your RV rental in Virginia to Richmond for a stay at theKings Dominion Camp Wilderness. Situated in Doswell, only a few minutes from Richmond, the Park is a brilliant home base if you intend to explore the Kings Dominion Theme Park and other attractions in the area. It has 180 accessible spaces, 84 of which are full hookup destinations with tables, fire rings, and space for slideouts. Services include a swimming pool, recreational hall, exercise classes, horseshoes, outdoor games, wi-fi, satellite TV, lunch room, basic needs, RV supplies, restrooms and showers, and laundry area for your camper rental Virginia. Complimentary transport to the Kings Dominion Amusement Park is accessible for each of its visitors. Perfect for a RV rental in Virginia Beach, Holiday Trav-L-Park of Virginia Beach is the nearest campground to the resort region of the city. It is a family-oriented campground filled with recreational activities. Hosting a vide range of RVs, it has 704 accessible spaces, 340 of which are full hookup locales with space for slideouts for your private RV rental in Virginia. Amenities include wi-fi, swimming pool, horseshoes, play area, mini golf, game room, swimming pool, outside amusements, recreational hall, pedal trucks, bicycle rentals, ATM machine, administrations, basic supplies, golf carts, angling supplies, RV stockpiling and supplies, restrooms and showers, laundry area, and a puppy stop for your travel trailer rental in Virginia. The RV Park is open throughout the entire year. Settled in 70-acres of forests and lavish green knolls, the American Heritage RV Park is an choice destination for a trailer rental in Virginia. 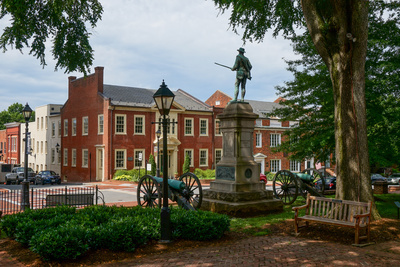 The RV Park is minutes from the various attractions, noteworthy spots, and historic points of interest in Williamsburg, Jamestown, and Yorktown. It has 145 accessible full hookup destinations with flame rings, porches, tables, and space for slideouts. Services include wi-fi, swimming pool, water slide, amusement room, horseshoes, play area, bicycle rentals, nature trails, recreational corridor, outdoor games, digital TV, golf carts, RV stockpiling and supplies, restrooms and showers, laundry area, and an ATM Machine for your RV rental Virginia. You are invited to stay at the American Heritage RV Park year-round in your RV rental Virginia. For centuries, the cry "Tattoo!" echoed throughout Europe: first as a call to innkeepers to "turn off the taps!" so soldiers would return to their barracks, and then as the name for a grand display of military bands and drill teams. With more than 1,000 performers, it is a show of fife and drum corps, bagpipers, military bands, precision drill teams, and performing ensembles from step dancers to motorcycle stunt drivers. The legendary Tattoos of Edinburgh and Basel are now rivaled by the largest Tattoo in the U.S. - the Virginia International Tattoo. This four-day salute to international friendship happens each April. Held in Winchester from the end of April to early May, the Shenandoah Apple Blossom Festival is a series of more than 40 events in celebration of Spring. Just 75 miles west of Washington, D.C., it is a ten-day family affair which includes parades, dances, band rivalries, carnival, fair, luncheons, suppers, a 10K Race, wine festival, talent show, and the Coronation of Queen Shenandoah. An excursion to Virginia is a delightful trip which you should appreciate with your family. Its history, natural beauty, cultural events, and attractions make for a memorable vacation. Book a RV rental at RVnGO and get ready for some good times in the Old Dominion state of Virginia!